Kate Gordon, Gov. Newsom's senior advisor on climate, will be the keynote speaker at the Climate Action Forum on Saturday in Grass Valley. WHERE: Grass Valley Veterans Memorial Building, located at 255 S. Auburn St., Grass Valley. COST: A $10 suggested donation at the door. Climate change is something we should all be talking about, say members of Indivisible Women of Nevada County, and that’s why the group will be hosting a Climate Action Forum, set for Saturday at the Veterans Memorial Building in Grass Valley. With the theme, “Educate, Celebrate and Activate,” highlights of the event will include keynote speaker Kate Gordon, who was appointed as director of the Governor’s Office of Planning and Research by Gov. Gavin Newsom on Jan. 7. Gordon now serves as Newsom’s senior advisor on climate and is a nationally recognized expert on the intersection of climate change, energy and economic development. Prior to her appointment, Gordon was a senior advisor at the Paulson Institute, where she oversaw the “Risky Business Project,” focusing on quantifying the economic impacts of climate change on the U.S. economy, as well as providing strategic support to the Institute’s U.S.- China CEO Council for Sustainable Urbanization. Gordon also served as a fellow at the Center on Global Energy Policy at Columbia University, and an advisor to Duke University’s Center for Energy, Development, and the Global Environment. Earlier in her career, she served as vice president for Climate and Energy at the Center for the Next Generation, vice president of Energy and Environment at the Washington D.C. based Center for American Progress and co-executive director at the national Apollo Alliance (now part of the Blue Green Alliance). She earned a law degree and a master’s degree in city planning from the University of California-Berkeley, and an undergraduate degree from Wesleyan University. 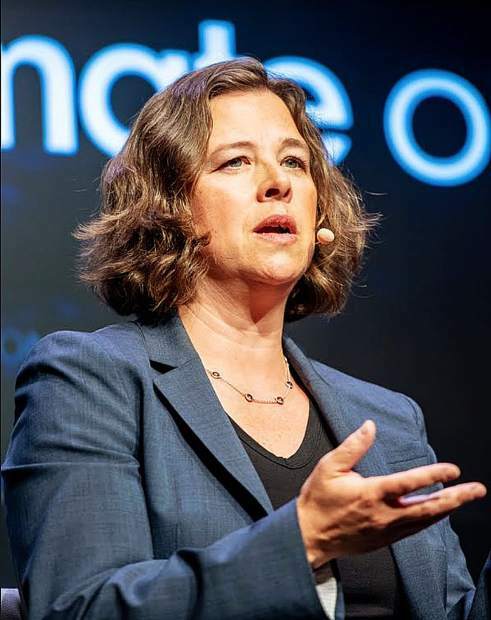 “I saw several interviews on the internet of Kate Gordon, one in particular especially impressed me — the interview by Greg Dalton at Climate One at The Commonwealth Club in San Francisco,” said Carol Turner, who is spearheading the event. Along with Gordon’s presentation, Turner said the event is designed to promote Nevada County organizations and companies that are working on creating a green future. Many will have informational tables set up at the event. Malaika Bishop, who will speak on agriculture and carbon sequestration, has been working to create sustainable and just food systems for more than 20 years and has been co-directing Sierra Harvest since 2013. Bishop began by training “young change makers” from around the world, and later co-founded People’s Grocery, a food justice nonprofit in Oakland. When she moved back to Nevada County she managed a school farm and served on the board of BriarPatch Co-op. She is a recipient of the Jefferson Award for Public Service, and she was chosen by Utne Reader, San Francisco Magazine and Organic Style Magazine as a young visionary and environmental leader. Rachel Hutchinson, who serves as the river science director for the South Yuba River Citizens League. She joined SYRCL in 2013, having come from the UC Davis Center for Watershed Sciences, where she worked as a riparian ecologist for nearly 10 years. At SYRCL, Hutchinson directs the meadow and salmon habitat restoration programs, water quality monitoring programs and the education program. She will discuss forest and watershed health. Shelly Covert, who is the spokesperson for the Nevada City Rancheria Nisenan Tribe, will talk about the tribe’s involvement with both the watershed and forest restoration. She currently sits on the Tribal Council and is community outreach liaison. She is also the executive director of the nonprofit, C.H.I.R.P. (the California Heritage: Indigenous Research Project), whose mission is to preserve, protect and perpetuate Nisenan culture. Nisenan Tribal members are the direct, lineal descendants of the original indigenous people who lived in the region before the Gold Rush. Their homelands lay within the Bear and Yuba river watersheds and all tribal members remain in their ancestral homelands today. The Nevada City Rancheria was terminated in 1964 and their reservation was sold. Kipchoge Spencer, who will talk about the Sunrise Movement. Spencer has worked on climate change for 25 years, first as a researcher, then as a transportation entrepreneur, later with a globetrotting, pedal-powered rock and roll show. He currently devotes his time to a startup called Threshold that seeks to mobilize 3.5 % of the population on behalf of planet health. Caleb Dardick, who will present information on the Green New Deal, is a writer and community organizer based in Berkeley and Nevada City. He has served as executive director of the South Yuba River Citizens League; director of Local Government and Community Relations for UC Berkeley; acting chief-of-staff and legislative aide in the Berkeley mayor’s office and principal of CDA Strategies, a community relations consulting firm. 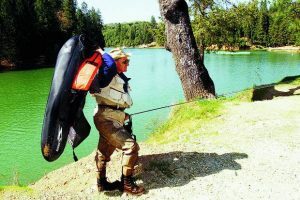 The son of parents who were part of the back-to-the-land movement of the 1970s, Dardick’s passion for community advocacy was inspired by his early life on the San Juan Ridge where neighbors united to build a new school and protect the Yuba River from dams. The event is scheduled from 1 to 4 p.m. on Saturday at the Grass Valley Veterans Memorial Building, located at 255 S. Auburn St., Grass Valley. There will be a $10 donation requested at the door to help cover the cost of the event. All are welcome. To contact Staff Writer Cory Fisher, email her at Cory@theunion.com. Squaw Valley 0” 0” 215"